Video Conferencing solution is the perfect way to unite people and enhance collaboration, increasing of productivity, greater accountability, streamlined workflows and strong competitive advantages. We not only offer Video Conferencing equipment’s, but also Audio Conferencing equipment’s such as Conference Phones, Enterprise-Wide Audio Bridging Solutions, etc. we will provide the complete design and implementation of video conferencing solutions and audio conferencing solutions. 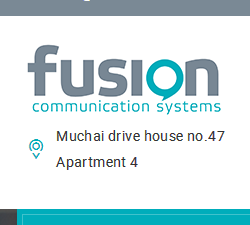 Fusion communication systems works closely with all the main video conference providers and will advise on all aspects of system adoption to ensure we meet your expectations.